We know it can add up, but it doesn’t have to! Let’s face it: Your sink is too small for you in your bathroom. The toilet is outdated and loud. You don’t get enough counter space, and you’re probably sick of that rusted tub by now. Why not remodel? It may appear difficult, time consuming, and a financial burden, but it doesn’t really have to be. 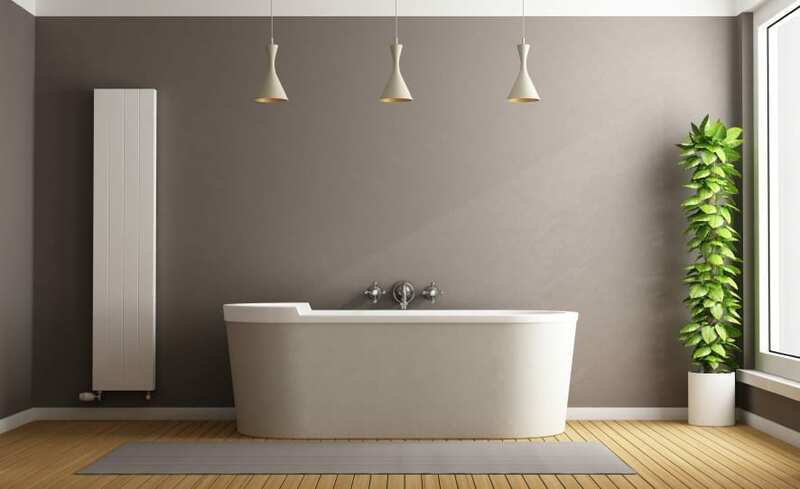 Remodeling a bathroom on a budget is easier than ever these days, so don’t let money hold you back. If you really need a change in flooring, consider starting from the bottom up. You could get expensive marble, or grab some decorative ceramic tiles, but that will cost you. Consider vinyl flooring, or get the floor painted with tile designs, to encourage the illusion of tiles without the hassle of cleaning them. If you’re really on a tight budget, you can do it yourself with porch paint and stencils, sealing it off with a couple extra coats of polyurethane to make it more decent. There are some nice pedestal sinks out there, but you might not be looking to drop $500 on a new one. If you’re happy with the one you have, and just tired of the way it looks, consider getting creative. Metal handles and faucets can be painted and coated with lacquer to revive the area, bringing a new color and vibe to your sink. Need a new sink, or vanity? We recommend visiting your local hardware store, or going to home improvement thrift stores to find clearanced items. You’ll be able to pick something new up at lower than retail costs – even if it’s just 10% off at your nearby Home Depot. If you find a dated sink or vanity at a thrift store, consider dressing it up your way with tiles or paints! One of the easiest ways to spruce up your bathroom is to just repaint it! A new color on the walls will give you a new perspective without costing too much. Smaller bathrooms won’t need more than one or two gallons, which will cost you less than $50 total. You might come to find that a color change was all you needed to be happier with your bathroom! Consider a brighter color, such as a light blue, orange, or yellow, and pair it with a new shower curtain and color-matching accessories. If you’re really looking to tear your bathroom down to the studs, then consider doing most of your shopping online. Reputable online dealers regularly offer discounts on remodeling items, and signing up for emails from your home improvement store might get you a couple of coupons in a flash sale. If time is not of the essence, sit on some of your favorite items for a while, and shop around for a better price. Just waiting a week might be the difference between an expensive price for an expensive sink, or a steal on the bundle! Even if you’re just considering a restoration right now, and haven’t yet decided, start researching the prices while you can, so that when you’re ready, you won’t have to pay through the nose. Take a look here for more features on Home Improvement.